She has served academia her entire career, moving from teaching to administration. 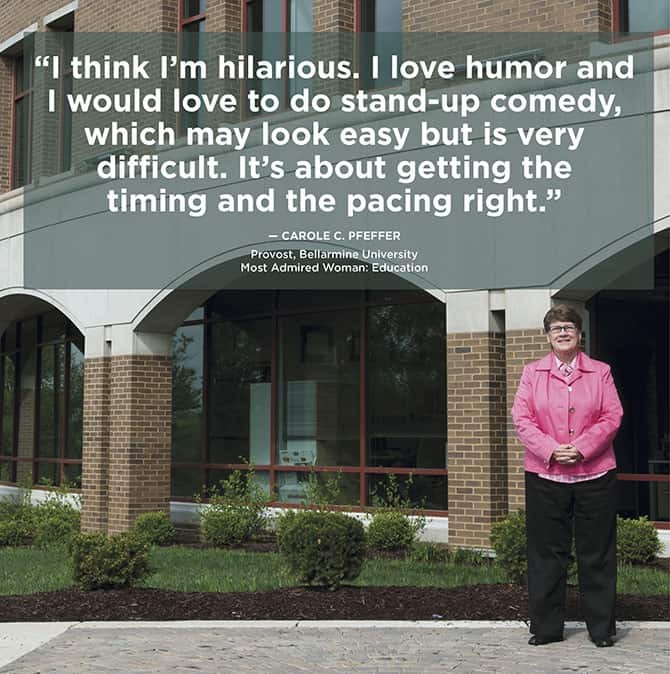 If she hadn’t become provost of Bellarmine University, Carole Pfeffer might have tried for a career as a standup comic — or an astronaut. Her treasured possession is her Lexus convertible, and she lets the top-down breezes blow her troubles away. She is living her motto: Have fun along the way.Photo by Melissa Donald. I oversee all things academic — hiring, assessment of student learning, promotion of professors. I often run point on addressing improvements on what we are as an educational institution and on development of new academic programs. Starting in 1989, I taught full time in the English Department at Bellarmine. Then I became associate vice president of the university in 2008, vice president in 2011, and provost in 2014. Before that I taught English at Assumption High School. As a graduate of Assumption and Bellarmine, I’m proud to have worked at both schools. My greatest joy is being in the classroom with students. There is nothing like it. But, that said, being in administration is much more demanding than teaching and has stretched me and my brain and given me permission to try new things. When my brother died in 1986. It devastated my parents and me. I knew that it was a marker of my life that I would ignore at my peril. I quit my job at Assumption and took time to be with my parents. He was older than me by five years, and I really never knew him too well. I moved into his house, and when I went through his things I discovered that we were so similar in so many ways. I found that to be a great solace. It was his final gift to me and one that I recognize every time I drive in the driveway. His death moved me out of Assumption and took me into a whole other arena. Advice to the younger you? I tend to be a little cautious. I wish I hadn’t worried so much about failing. I tend to push myself but haven’t taken many risks. I worried that I wouldn’t measure up. I would love to fly. I wish I had been called to be an astronaut, to be able to see the world from that perspective in space. Ever since I could drive, I have wanted a convertible. 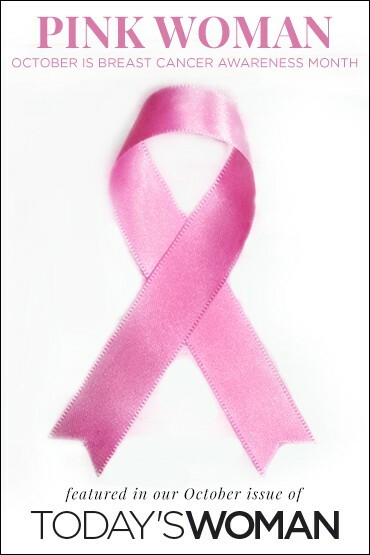 My mom told me, ‘Baby Doll, when I die, buy the damn convertible.’ One year after she died, I did. It is a 2003 Lexus 460SC. When I get in that car after work I feel renewed. Driving with the wind swirling around me, the troubles seem to just blow off. Soup simmering on the stove. The smell of honeysuckle can take me right back to my childhood home. And, I love the smell of hazelnut coffee, but I don’t drink it. I am very impatient with myself and other people. My parents set a trajectory for me. They talked about being a good human being and didn’t assume that I knew how to grow up. They were people of faith and they continue to inspire me. I think I’m hilarious. I love humor, and I would love to do stand-up comedy, which may look easy but is very difficult. It’s about getting the timing and the pacing right. I’m becoming increasingly angry with those who won’t engage all points of view. The greater good is what is going to suffer. The next generation is only going to see the rhetorical screaming, and then we quit talking and walk away. It almost petrifies me more than makes me angry. You have to work all your life to be physically, spiritually, and mentally healthy. The Sheaffer fountain pen that my friend Mary Boyce gave me. The barrel is midnight blue with a splash of color. It is like a beautiful night sky. Earning my Ph.D. in rhetoric and composition from the University of Louisville. I was almost 40 and was told that two-thirds of the class would drop out right before the dissertation process, but I persisted. This category is sponsored by the Muhammad Ali Center.